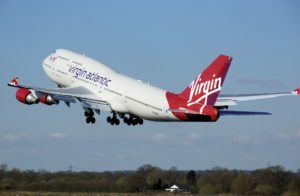 Virgin Atlantic has decided to use a methanol based Jet Fuel in its entire fleet. Lanzanol is a low-carbon “alcohol-to-jet” fuel that could reduce carbon emissions by up to 65% compared to regular jet fuel. Not only would the CO2 output be much less, no Carbon-based fuel is burned in the fuel. The source for the fuel is interesting, derived, via fermentation, from the waste gasses collected from steel mills. While it could take at least a year before the process is capable of producing the quantities of fuel needed for the possible demand, and the fact that once this hurdle is crossed, Virgin Atlantic will still need approval to use this alternative fuel in commercial flight, nonetheless the potential of this news is very exciting.